Getting organized can help calm the chaos. 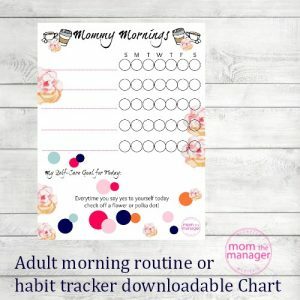 Having a morning routine will help you set some goals, stay on task and start your mornings feeling in control and happy. 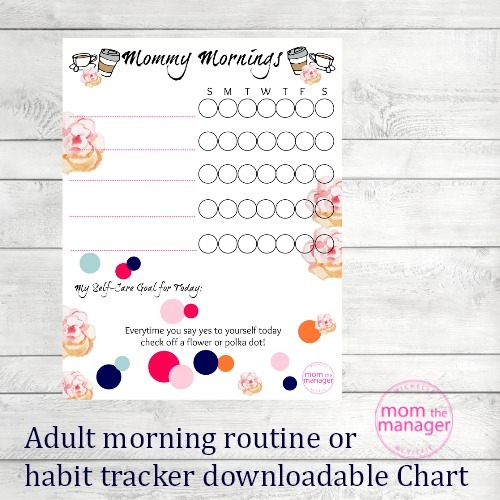 You can also use the chart to monitor daily tasks that you want to make a priority. 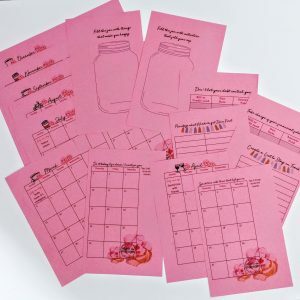 Children learn what they live, having your own chart and organization tools will show your children that you are able to manage your time and set clear goals and expectations. Instant digital download 1 PDF file print on 8.5 x 11 page. These files are for your personal use only, they are not to be copied, sold or redistributed. Download and print on your own printer. 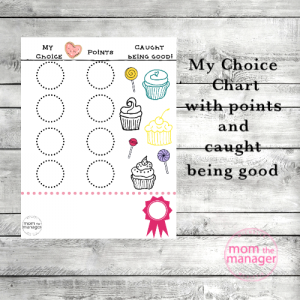 Laminate the chart or put it in a dry erase sleeve and use over and over again.